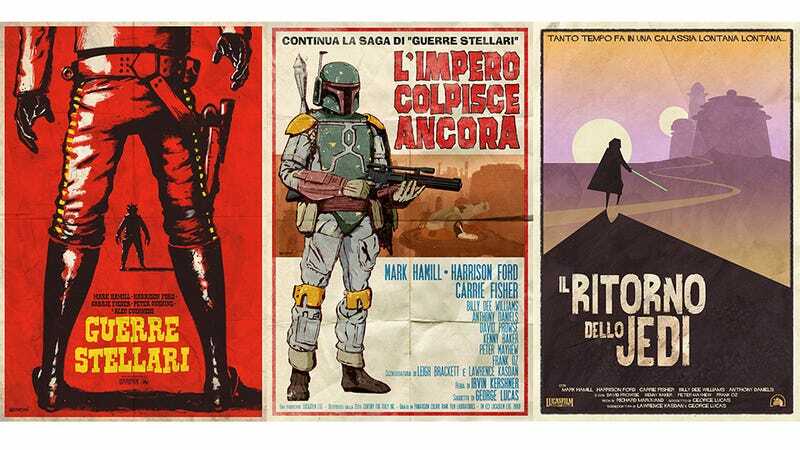 Artist Timothy Anderson has combined two of mankind's greatest creations - Star Wars and spaghetti westerns - and combined them in this series of posters, in which George Lucas' sci-fi trilogy is shown off like they were the kind of movies Clint Eastwood would star - and squint in - a lot. The bad news is none of these movies star Lee Van Cleef. The good news? You can buy the posters from Timothy's online store!